Wood lump charcoal and sawdust charcoal briquette are two types of wood charcoal products. Wood lump charcoal comes from pieces of wood, while sawdust charcoal briquette comes from sawdust. 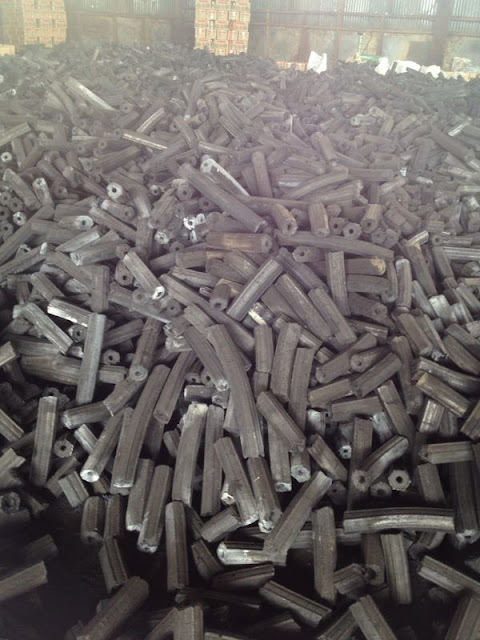 Sawdust charcoal briquette is more in demand by the export market than lump charcoal because of its advantages, which is more solid, ie twice the density of wood so that the flame or burning time is longer and also saves transportation costs, uniform size and shape making it easier in use and packaging. 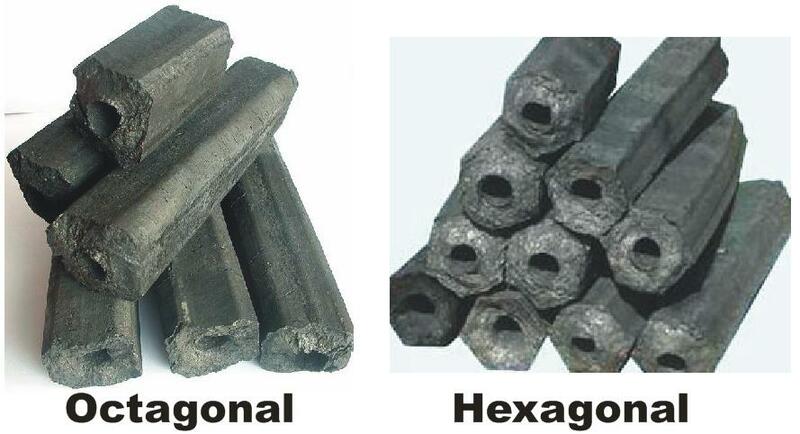 Sawdust charcoal briquette is usually hexagonal and octagonal with a hole in the middle for easy burning. While lump charcoal has irregular shape like the raw material. Middle East countries and especially Saudi Arabia are the countries that use the sawdust charcoal briquette in large numbers that is mainly to grill the sheep as favorite dishes there. And Turkey is a country in Europe that also uses a huge sawdust charcoal briquette to cook their various meat dishes. In the development of the greater market need for the product sawdust charcoal briquette so that the required supply from producers is also getting bigger. Raw materials from sawdust are also increasingly limited so that raw materials are needed from various kinds of other wood waste. Wood waste from the forestry sector or any wood processing industry that has so far not been utilized can be used for raw materials for the production of sawdust charcoal briquette. The size of large wood waste also needs to be size reduction to be the size of sawdust to be processed into sawdust charcoal briquette. 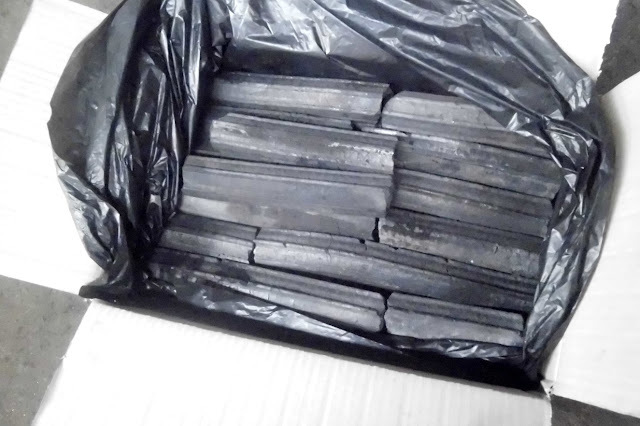 The need for wood lump charcoal is not as much as sawdust charcoal briquette and generally only wood of a certain type (species) is of interest. Certain types of wood are also generally difficult to obtain. The use of charcoal lump is also almost the same as sawdust charcoal briquette. To maintain its long-term sustainability, the provision of raw woody biomass for both sawdust charcoal briquette and lump charcoal should be sought through the planting of wood producing trees for charcoal lump and sawdust charcoal briquette raw materials.